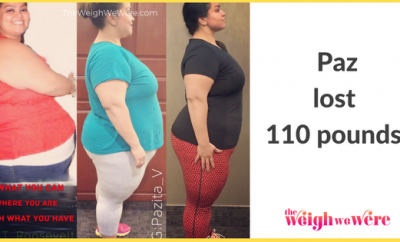 How I Gained It: I have struggled with my weight for almost my whole life. It’s only now that I realize it will be a lifetime journey. Unfortunately, I realized this the hard way. 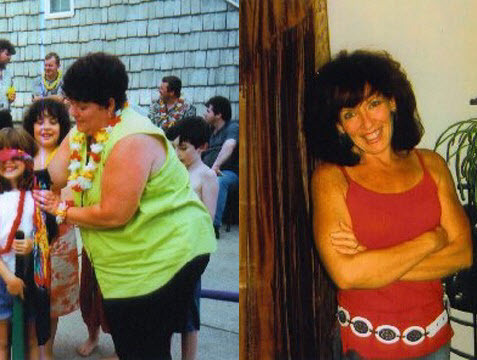 Although I’ve always been overweight, when I was in my 20s, I got into fitness and lost an amazing 65 pounds. I began taking exercise classes at a women’s studio and found out that it’s true what they say — exercise is addictive. I even got certified to teach fitness! I loved teaching and eventually became a partner in the studio. I managed to maintain my weight loss for a few years, but then I got married and started having children. I managed my weight fairly well with my first child, but I gained 65 pounds with my second pregnancy. By the time I had my third, I had ballooned to 309 pounds. I never went back to exercise, and that was a huge, horrible mistake. Breaking Point: Although I was only in my 30s, at more than 300 pounds, my doctor had put me on blood pressure medication. One day, I noticed a numbness in the side of my head and went to my doctor — he diagnosed me with diabetes. That was it. I realized I had to take control of my health. 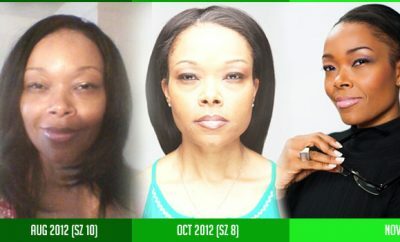 How I Lost It: Exercise helped with my weight loss before, so once again I turned to it to help me get healthy. I was pretty out of shape at that point, so I started slowly with a 30-minute circuit workout. I worked really hard during the cardio portion of my workout, making myself sweat and pushing through the pain. 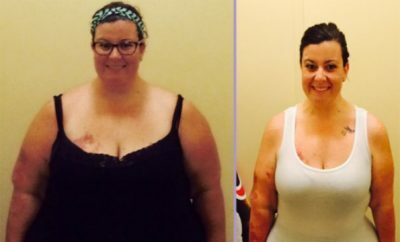 It paid off — I started seeing results after just a few weeks. Through it all, I began to remember how much I loved fitness, so I also began teaching exercise classes again. 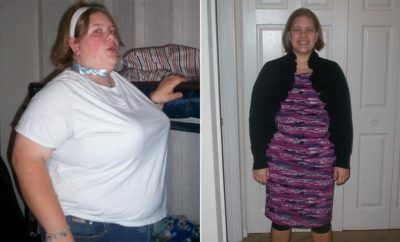 Some of the women in my class had just as much weight to lose as me, and many of them are still working out with me today! The next step was looking at my eating habits, especially portion control. I was simply eating too much food, so I began watching my portions with help from Weight Watchers. The weight started coming off slowly but surely. All in all, it took me three years to lose 162 pounds, and I’ve been maintaining it ever since, going on eight years now. It will take me my whole life to maintain my weight loss, but I am determined to do it. I never, ever want to go back to the depressed, reclusive and uncomfortable person I was before. The old me couldn’t have fathomed fitting into size-4 clothes again, but I’ve done it and it feels amazing. Three years ago I opened my own women’s fitness studio called The Fit Zone to help other women do the same and take back their lives. I teach about 15 classes a week, and I love going to work every single day. I know firsthand that success stories like this are happening all the time. This past weekend, Denise led a fitness class marathon at her studio with all the proceeds going to the American Heart Association.